Organized crime has overrun America. Alcapo (The big boss of Chicago) rules his city with an iron fist, but is known for generously sharing a portion of his profit with his loyal supporters. 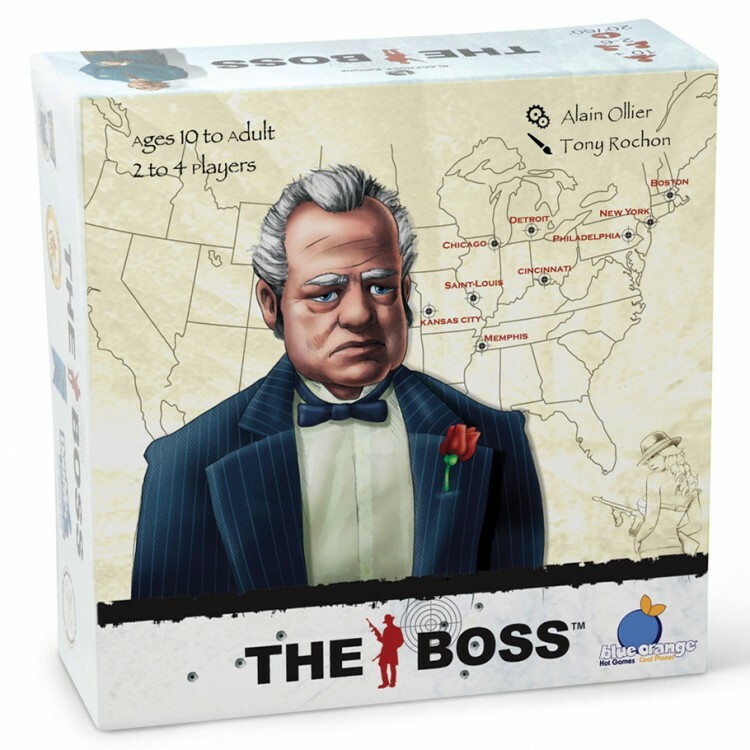 Now, you are looking to take your share cut of the action by sending your crew of gangsters out to assist the local bosses in the great cities of New York, Boston, Detroit, Kansas city, Cincinnati, Memphis, and Philadelphia. But be wary! You will need to size up each job thoroughly before committing your crew, or they might end up injured, arrested, or even killed on the job. 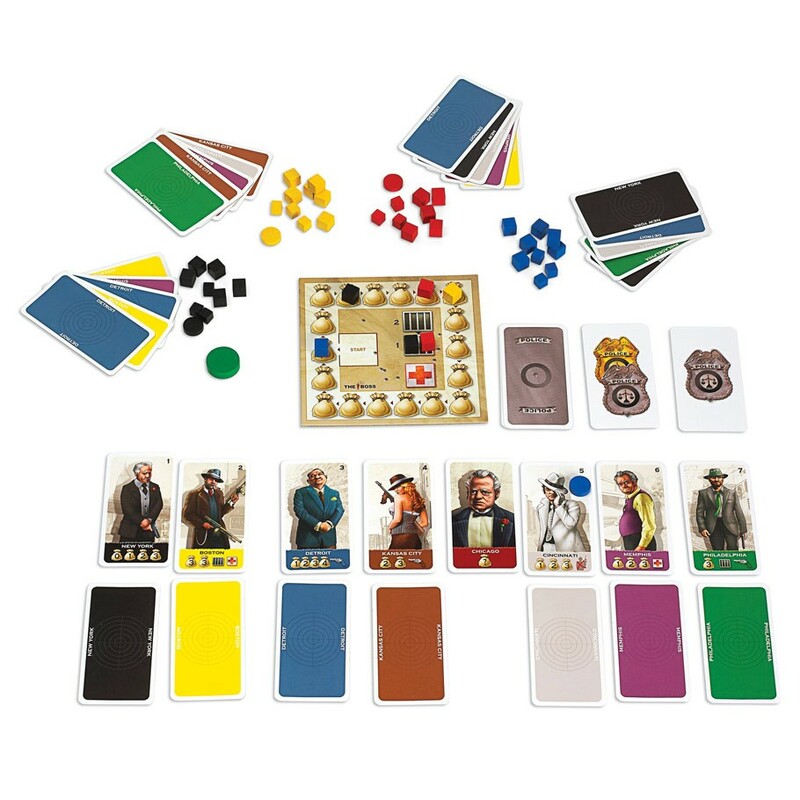 The Boss is a game of bluffing, deduction, and luck, in which players read their opponents' reactions in order to figure out which facedown card will score them the most points.